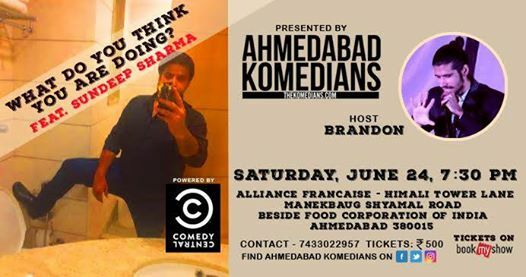 Sundeep Sharma is the “Brahman Bro” of comedy. This Bareilly guy has a typical North Indian accent and performs jokes with a desi flair. He is a storyteller and incorporates social, political and general issues in his comedy. His mimicry of famous national and international personalities only adds to his hilariousness…. Some of his recent videos have more than one million views. He is performing a 1-hour solo act so “What do you think you are doing”? Book your tickets now.